SFI Readerlink Dist, 9780794443030, 32pp. Dress up and sparkle with the Disney Princesses in this all-new take along magnetic play set and storybook! Get dazzling on the go with the all-new Disney Princess Magnetic Play Set. 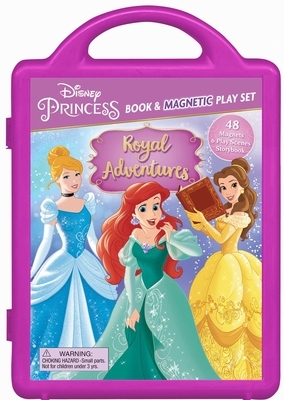 This sturdy handled plastic case comes with 48 magnets, interchangeable magnetic play scenes, and a 32-page storybook so young princesses in training can take Ariel, Belle, and Cinderella along for all their royal adventures.